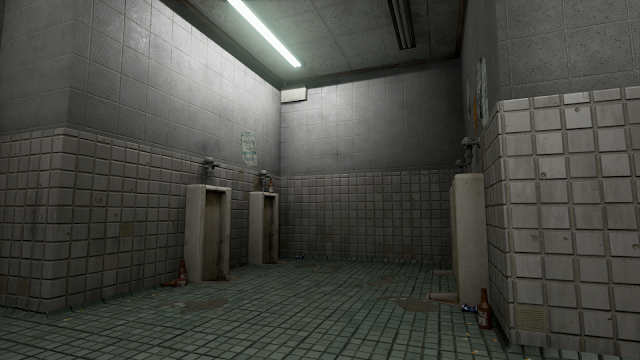 For my final project of the summer, I created a small bathroom scene which would serve as a canvas for me to create multiple tileable textures in Substance Designer. 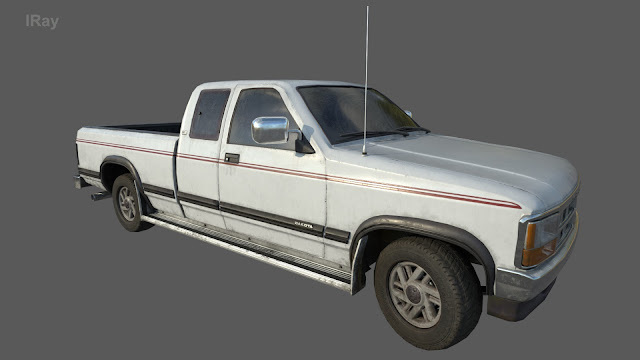 Over the time of this extended project, I was able to make 8 texture sets which would go into 4 different materials, each with a clean(ish) and a dirty/damaged variation of the texture which gets vertex painted in. 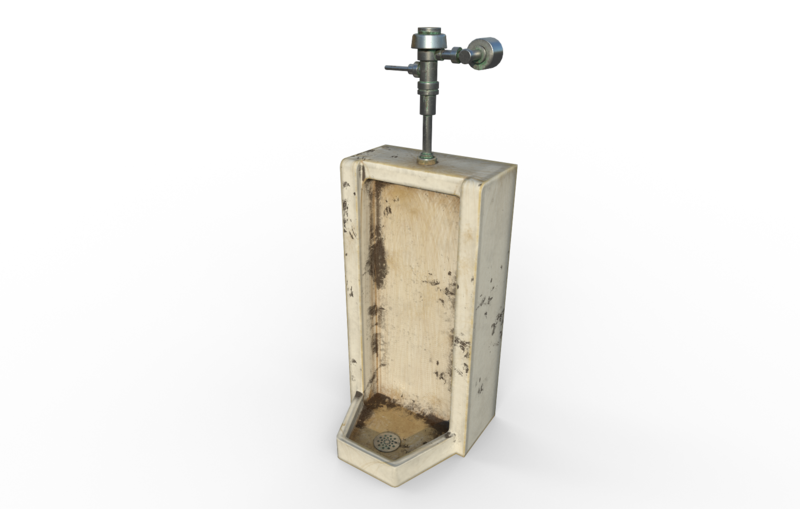 Substance painter has been my biggest attempt to self-teach a program while at FIEA, as I wasn’t feeling sculpting tileable textures exclusively in Zbrush. I felt Substance Designer had to be a better way, and after a couple tutorials, I found that it was indeed a better fit for me. I began learning SD in May between 2nd and 3rd semester at FIEA and have used it in two projects. 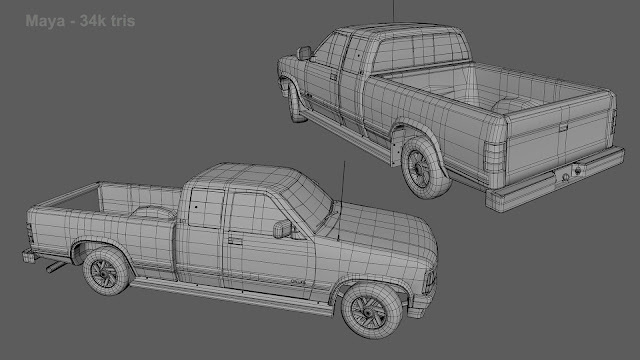 In this post, I’ll be discussing some overarching strategies that helped me, I’ll be doing a small breakdown of my grass graph to illustrate 2 steps mentioned later and finally I’ll give some quick tips that I picked up along the way. Before starting, the biggest thing to note is that in Substance Designer, nearly everything is created based on a height map. Creating this height map will take up a large portion of the total time, and the better job you do of creating this height map and noting how certain things will be masked based on the different elements going into your height map, the easier it will be to create your albedo/base color, your roughness, and your metallic map (if your texture has metallic variation). Your height will also be directly converted into your normal map and your normal map into your ambient occlusion. Once you’ve broken your overall texture down into large, medium, and small shapes, determine if there are any obvious layers in the texture. 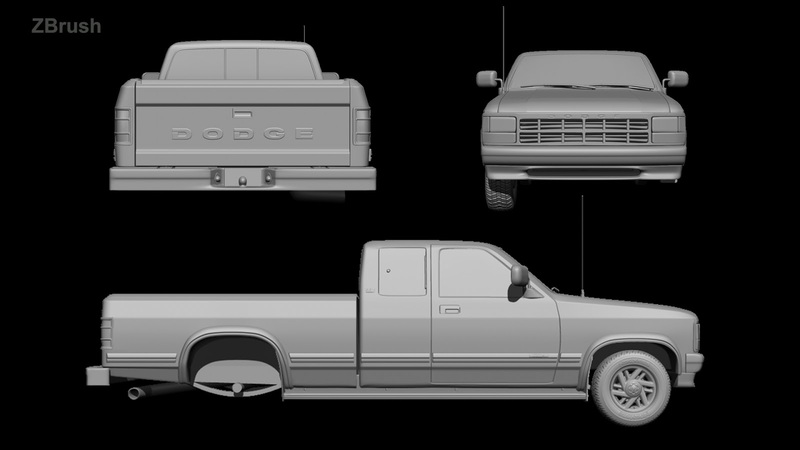 With any sort of asset creation, it’s really helpful to think about how that thing is manufactured or created. 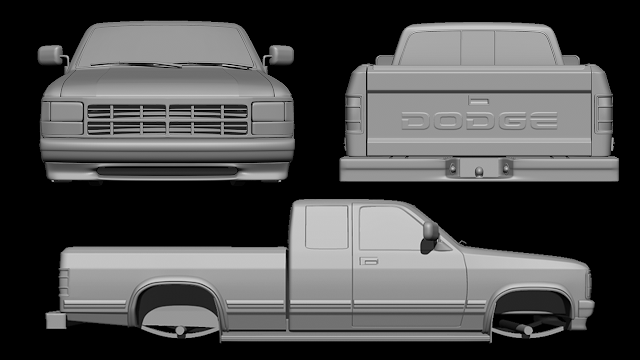 Breaking things down into parts and layers really helps with believability and also allows for natural breaks in UV islands and edge flow. 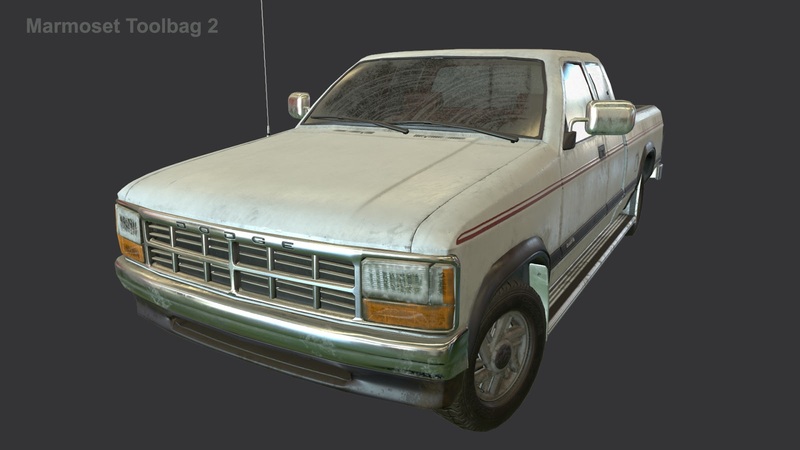 How this relates to creating textures in Substance Designer is it allows you to create a robust mask for certain layers that will be used consistently in your graph to divide these layers for compositing later, instead of haphazardly trying to use nodes to detect and isolate features later on. 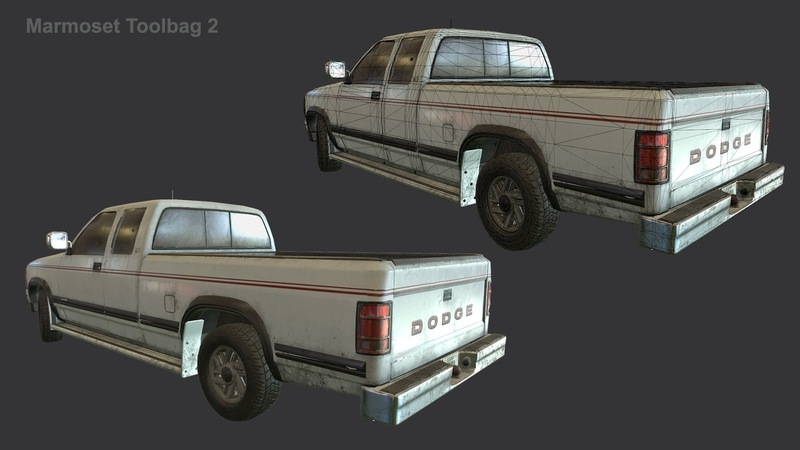 This layering technique may not be necessary for all types of textures, but most of them can utilize this mindset. A recent example for me is when creating a bathroom floor tile material, I created my tile mask which allowed me to develop my tiles and grout independently and bring them together in the end. Finally, after breaking down my layers, I begin breaking down each of those into individual parts that I’ll use to create the layers and larger shapes. In the bathroom floor tile example, a major part is the individual tile, so I created a square, gave it a bevel, and blended in a subtle gradient. This single tile will serve as my one standardized piece that I can now distribute across my whole texture with the tile sampler node. Another example is creating an individual blade of grass, which I’ll be showing later on, and using that single blade to create variations and distribute over the whole screen. 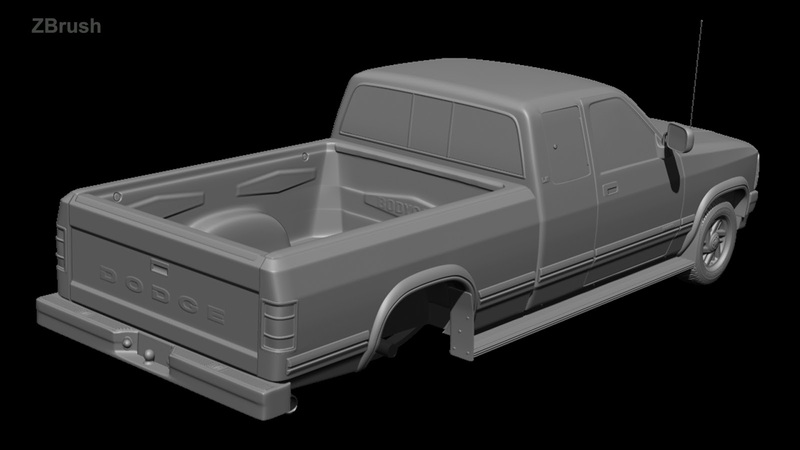 One tricky part that gets easier with practice is learning what detail to include in the individual part of your texture and what detail to apply over the whole texture once you’ve distributed your individual parts. An example would be adding edge breakage/chipping to the tile versus applying a Slope Blur Grayscale node later on to chip the edges. 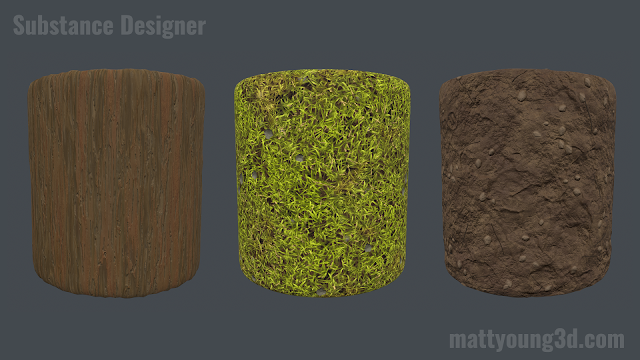 This grass texture set was the first SD graph that I really felt comfortable making. While it’s not complex or fancy, it serves as a good example to illustrate how to create simple parts that will then be duplicated to fill the entire texture. To create our individual blades, we use a Rigid Bell shape to get our grass blade shape. Histogram Scan is used to make it a more solid form with defined edges. We use another Hist Scan to make a more wispy version of the blade, a levels to reverse it, and a Transform 2d to make it thinner. Then, with a Blend, we combine them with a Min Darken to form the depressed ridge in the center. We then blend a Gradient Linear 1 with our blade to give it the height information it needs to look as though it’s coming up from the ground below. A Perlin Noise 2 is used with a Directional Warp to make it a bit more wavy. Using 3 Tile Randoms, we achieve different sizes of blades to give some better variation. The largest blades are run through a Levels to lighten them, making them appear higher on the Height map. The first two Tile Randoms are blended together with a Max Lighten to get our full grass height map. It is then run through a Warp that uses a blurred Clouds 2 node. This adds a bit more waviness to the overall grass. I also included a third tile random which has smaller and fewer blades that will serve as the dead pieces of grass. Unlike the other two, because I want this dead grass to be brown later, I need to blend it differently. I use a Height Blend, which allows me to blend multiple nodes toegher but give me a mask output which takes into account how this texture is blended with the others. Because this dead grass sometimes lays below the full, living grass, the mask it outputs does not include the occluded bits of dead grass. This is later run through a Gradient Map in the coloring phase which allows me to make it brown. The last 3 branches of this node folder go off to be 2 different masks, with the Levels in the middle going on to be added on top of the dirt and rocks to create the overall Height Map. -When blending nodes together, use Copy, Max (Lighten), Min (Darken), and Multiply as your blend mode when possible. One of the biggest issues I had starting out was certain values in my height map would get so extreme that they would begin to clip (pure white or pure black) and I’d constantly have to use a Levels node to bring it all back to a good range. The nodes listed above don’t infinitely increase or decrease your values, but keep them in a usable range to avoid clipping. 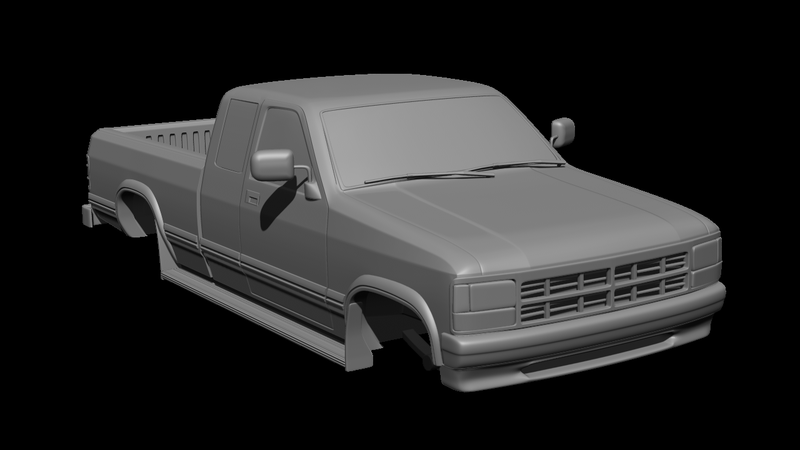 -Using the Levels node is a less expensive version of inverting a black and white texture. Just swap the black and white arrows on the bottom. -Avoid large, obvious tiling features. Distinct features make fore distinct patterns. Check your texture at a higher tiling rate frequently to see if this pattern is obvious. 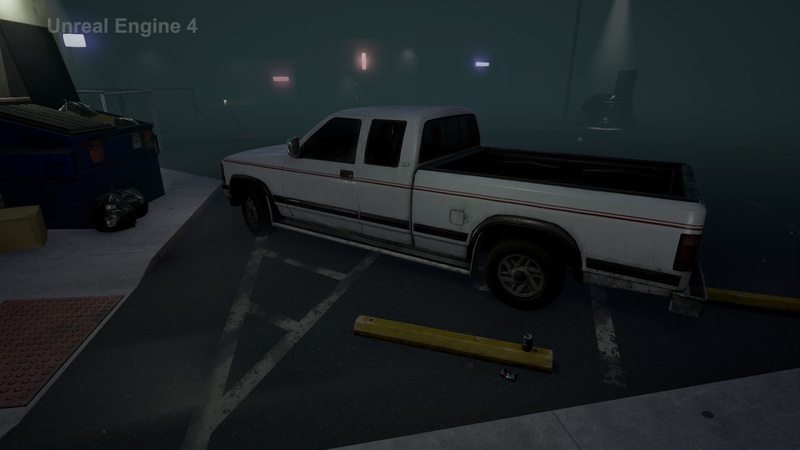 -When adding detail, keep in mind that subtle details make things believable, while obvious details make things look fake. Everything should blend together in a very subtle way, without certain details becoming overpowering or obvious. 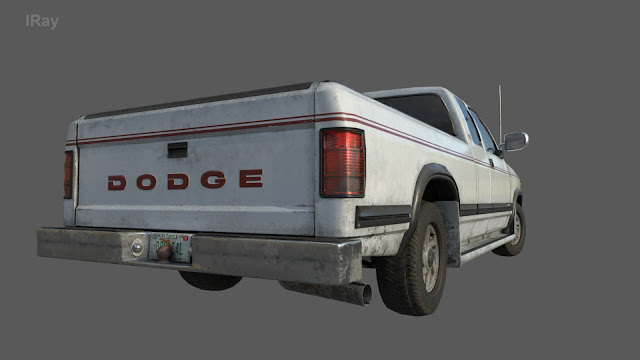 -If you’re making multiple textures sets that will serve as clean, dirty, damaged, etc. 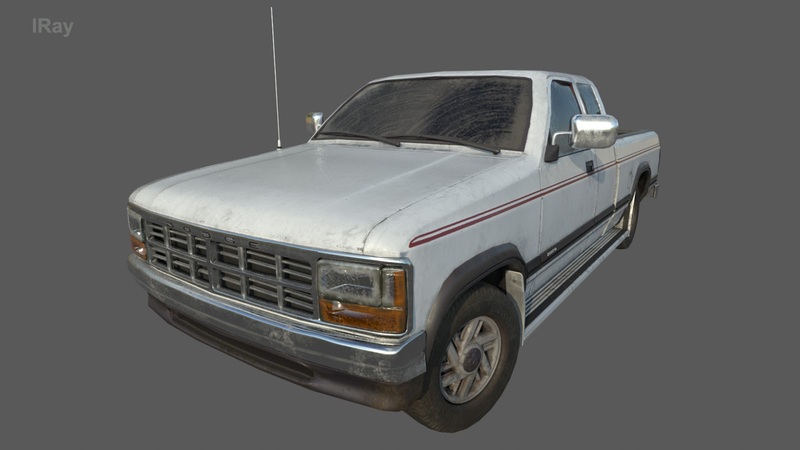 versions to be vertex painted within the same material, make the most extreme version (dirty and damaged) first and build in a switch or levels mask that you can easily turn on and off or play with the values on to get your cleaner versions. The most extreme version can serve as the Master version that your others are copied from. -When possible, use nodes like BnW Spots, Perlin noise, or cells to mix and match with different Warps, Blurs, and Histogram Scans instead of using the premade Grunge textures. The Grunge textures are premade node graphs themselves and you can achieve the same or better effect for cheaper if you make it yourself. 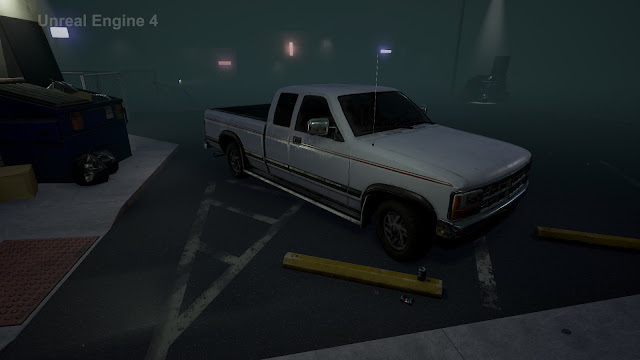 The Grunge textures can be very expensive, ranging in the 200+ m/s range. Thanks for reading and I hope this helps your basic understanding of Substance Designer. Here is my midway update for the dirt bathroom project. I've modeled out the room which I will be using for my bathroom. 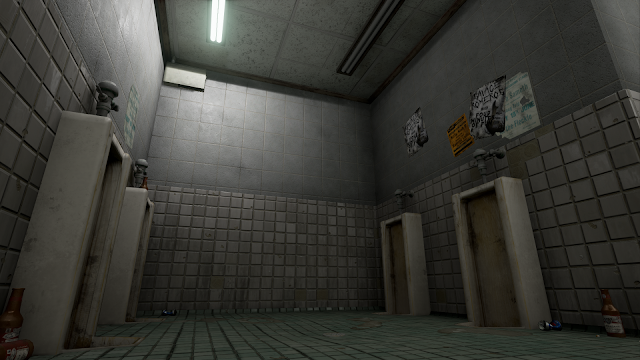 I've also nearly completed texturing the urinals which will be in the scene. 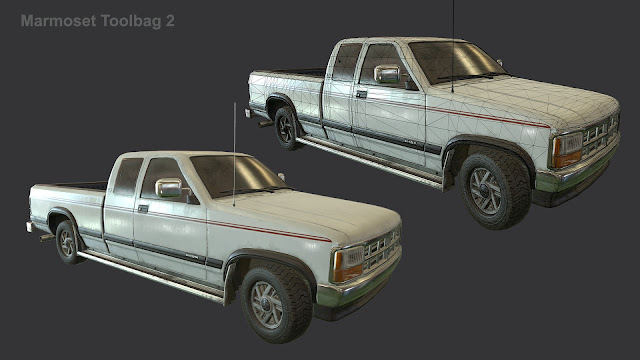 I've textured two different versions which will allow for vertex painting to add variation. I wanted to get these two parts out of the way so I can spend the better part of this week working on my tileable textures without having to worry about these. 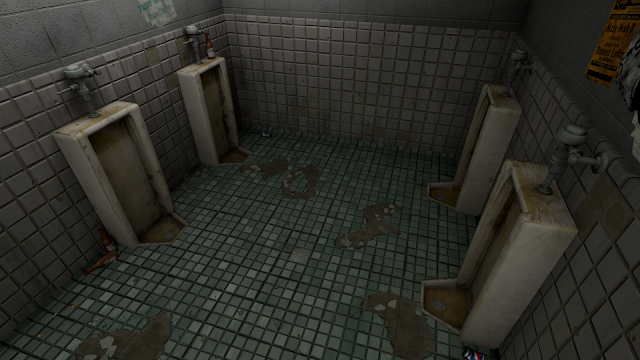 For the third and final project of the semester, I will be creating a run down and dirty bathroom environment with the intent of focusing primarily on tileable texture creation. The scene will be a smaller section of a bathroom and will include several variations of tiled materials, each with texture set variations that can be vertex painted in. 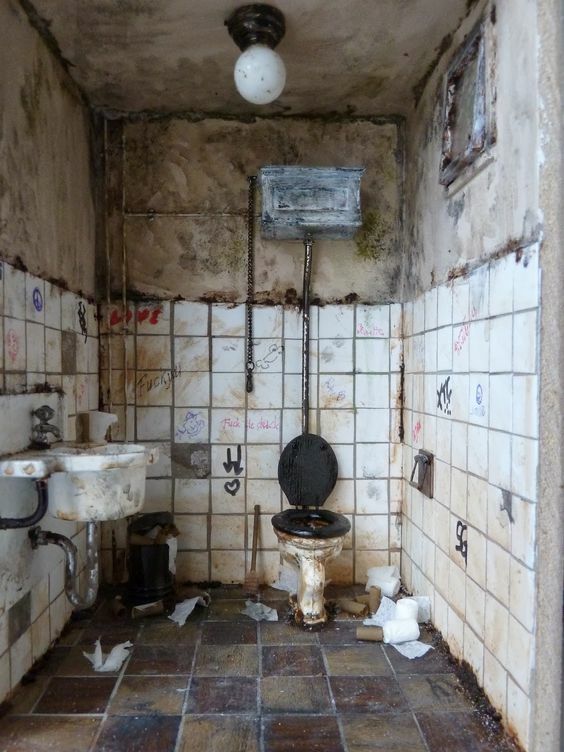 The image below is NOT the concept I will be basing my project over, but is to suggest the level of wall/floor filth I'm aiming for. 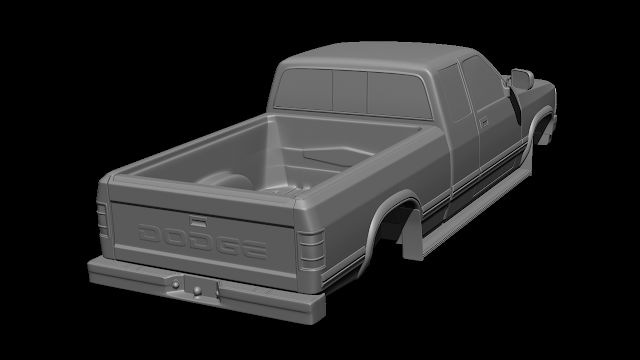 After 67 hours, my 3D '93 Dodge Dakota is finished. 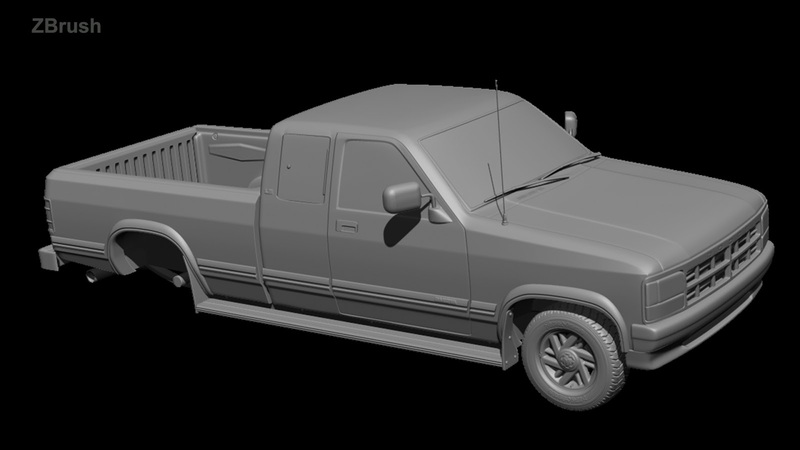 The mesh is 34k tris. 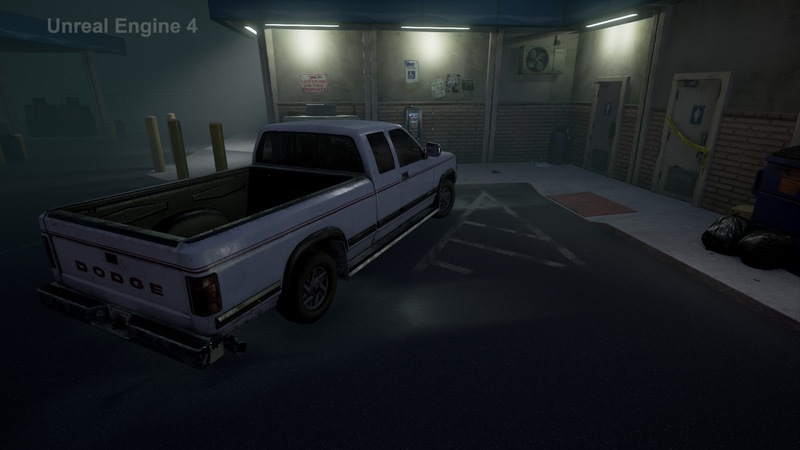 I textured it a bit beat up and dirty to fit into my run down gas station scene. 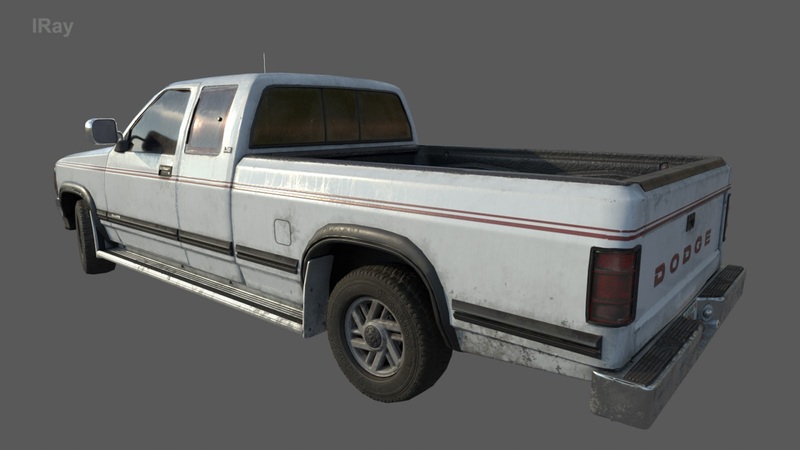 I also added the original red pin stripe and lettering because that's how my truck originally looked. For my 2nd Personal Project, I will be modeling my truck, a 1993 Dodge Dakota in Fusion 360. In the month long project, I will take the asset to completion and make it a part of my Dropped Call gas station environment. For my project research, I will be researching and learning more about Substance Designer. I will be incorporating more Designer work in my projects as I progress through this third semester. Below is an image representing the state of my progress and knowledge thus far.